Raising a Puppy – Is it Worth it? Raising a puppy sounds like fun. Many potential puppy owners have a wonderful dream in their heads of raising their puppy, training him, and developing a lasting bond that is unbreakable in any way. All of that is absolutely true. However, there is another part that never finds its way into the dream: all the hard work, dedication, cleanup, and constant vigilance that is also required. Today, we’re going to talk about taking on the responsibility and help you decide if raising a puppy is worth it. First things first. It’s work! A lot of work. A metric ton of work. Puppies are basically toddlers that are even better at getting into any and everything they shouldn’t than their human counterparts. They are high energy, rambunctious. and require a lot of training. That’s incredibly important to stress because many owners bring home a puppy with unrealistic expectations of what raising the little guy will entail. 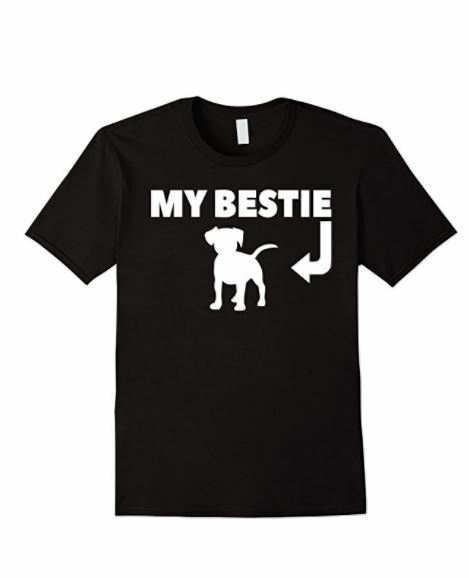 Unfortunately, that can lead to an adorable little puppy stuck in a pound or other rescue. All that work I just mentioned is exhausting. Having a puppy really is like having a toddler. You have to watch your puppy at all times. You have to puppy proof your home. You have to train your puppy and properly socialize him. You have to ensure that he gets tons of exercise and mental stimulation. You have to do a lot of cleanup until he masters potty training. You have to do even more cleanup to get rid of destroyed toys (and sometimes slippers). At the end of the day, you will be one tired owner. Raising a puppy will almost always incorporate some version of “the terrible twos.” This is the time when your puppy is old enough to really feel his abilities. He’ll become more confident in his ability to jump, run, and generally get into things that he shouldn’t. During this time, training will be of utmost importance. You need to teach him how to behave early on so that he has a strong foundation when he starts to get rowdy on a new level. Fear not, “the terrible twos” for a dog is generally only about 6 months rather than a year or more as it can be with human kids. Between the ages of 6 months and a year is when you’ll have the roughest patch. After that, your pup will calm down as he enters adulthood. This should make him easier to handle. Be aware that breeds like Labs and Huskies never really grow up, so you’ll still be dealing with a lot of goofiness. At that point, though, the goofiness is much more fun and much less annoying. Another reason for knowing what to expect when raising a puppy is to combat New Puppy Stress Syndrome. Often referred to as the puppy equivalent of postpartum syndrome, new puppy stress syndrome occurs when owners are not fully prepared for raising a puppy. They become overwhelmed by the reality of just how much a puppy needs and how much those needs affect the owner’s freedom. It is quite common and normal. It’s also less likely to affect a new puppy owner if they know what to expect. Although New Puppy Stress Syndrome can last anywhere from 2 weeks to 3 months, the length of that can be drastically cut by knowing what to expect and professional training help to ensure proper training as quickly as possible. Don’t let this post fool you. Raising a puppy can be very rewarding and promotes an incredibly strong bond with your new dog. And it does get easier. Raising a puppy is a lot of work and stress, but as you get used to it and time goes by, it gets progressively easier. Proper training, a better understanding of what your puppy needs, and the growing bond between you and your pooch all lead to less and less stress each and every day. Eventually, raising your puppy is more joy and less stress, and that trend continues until you’re through the puppy phase and into the full grown dog years. Raising a puppy can be a lot of fun if you know what to expect. Most owners have issues because they aren’t aware of just how much work goes into raising a puppy. That’s why I hit all the highlights of the absolute worst parts of raising a puppy. That being said, there is another side to having a puppy that is a pure joy. In between cleaning and training, you’ll have a little buddy practically glued to you, looking up to you, and wanting to please you in the worst way. If you want to know if raising a puppy is worth it, the answer is yes. Just be prepared for the work so you can enjoy the rewards. What are your thoughts? 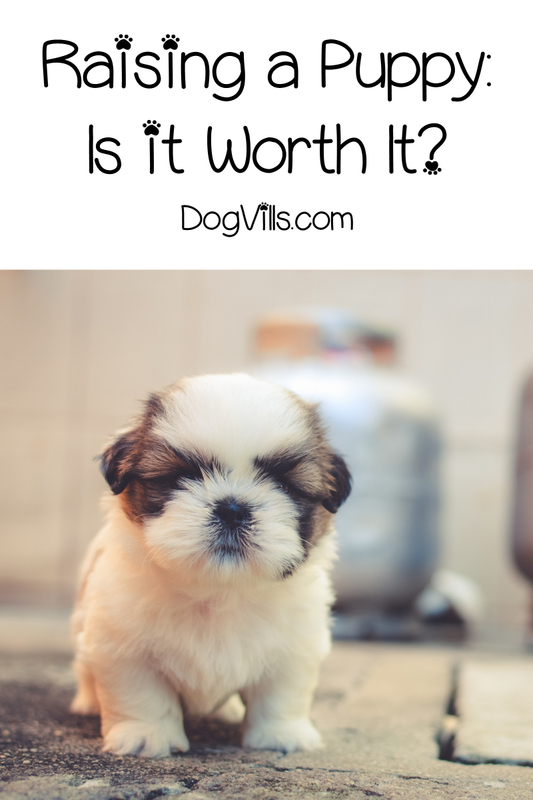 Do you think that raising a puppy is worth it in the end? Tell us below!